Closed loop sensor, zero triggering, micro computer controls temperature, LED display. Fast heating; Precise and stable temperature are not influenced by air volume. With induction switch in the handle. When the handle is picked up, the unit starts working immediately; On the contray, the unit enters standby status automatically. Easy for real-time operating. 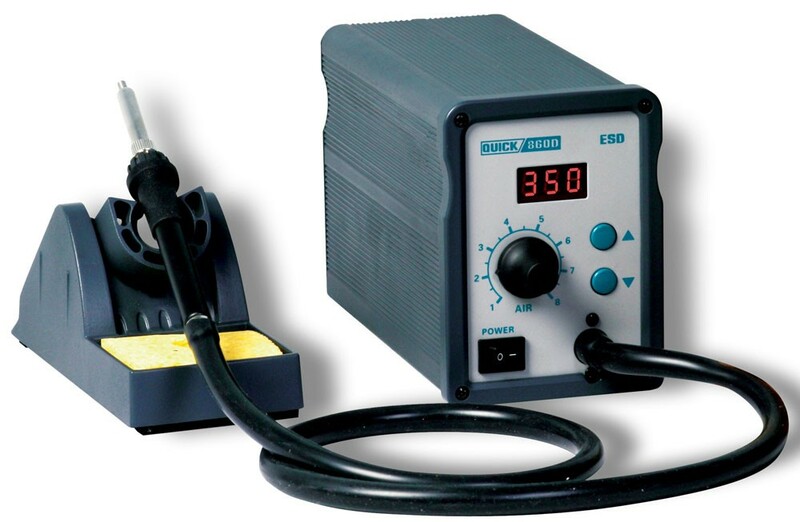 Digital temperature calibration, easy to operate. Cooling air function available. It can prolong the life of heater and protect the unit.